OK, so I whined and moaned about Arizona not have any good coverage in Virtual Earth (or any service for that matter). Well check this out! 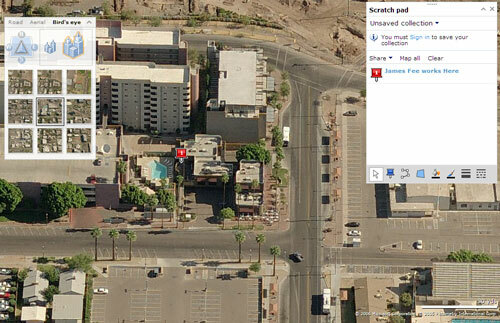 For those who want to see what the Tempe location of Google looks like, check this out. It might not be a Google Campus, but is is on the ASU Main Campus. See how easy life is when you have good data? I guess I can take the rest of the week off. Honestly I’m like a kid in the candy store. Heck even Scottsdale was added so you can see other interesting things beyond the pool next to my work such as Taliesin West.